When it comes to getting dressed, socks are an afterthought for most men. This is why you see guys strutting around with white cotton socks under dress slacks or short athletic socks under khaki pants. I can’t blame them. It’s hard enough to pick out the right shirt-pants combo everyday. Plus you have to wear the right shoes and accessories, and everything needs to fit properly. It’s a lot. And now we have to think about socks too? 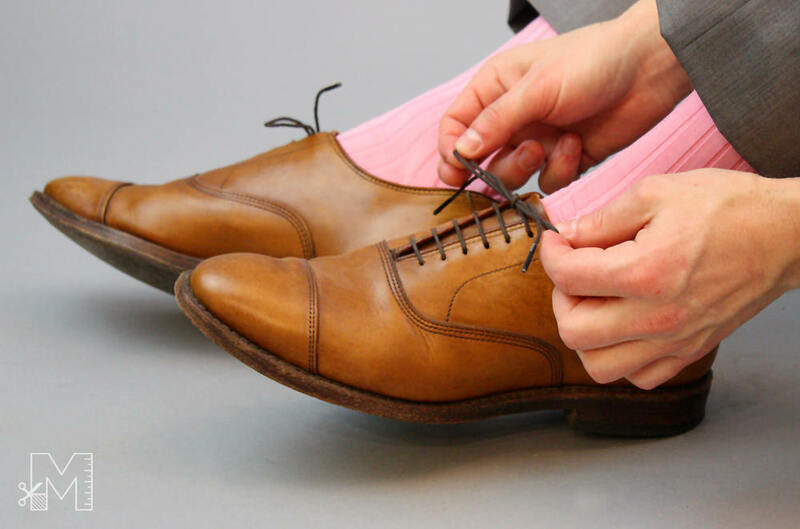 To make matters worse, socks wear out faster than other clothing, so you have to replace them regularly. Which means you have to go to the store and make decisions about brand and color and price. How much should I spend on a decent pair of dress socks? Should I wear plain socks or flashy socks? Is over-the-calf better than mid-calf? Is cotton better than wool? Will these socks be comfortable? Not to mention sizing. The vast majority of “one size fits all” socks are too big for anyone who wears shoes smaller than size 8 US. It’s all a bit overwhelming, which is why most men settle for whatever black/navy socks are on sale at the mall. But you don’t have to settle, and you definitely don’t have to pay department store prices. Instead, you can buy your socks from Viccel. And you’ll get a 20% discount just for reading this blog. Let’s get one thing out of the way – the Viccel website is ugly. Real ugly. Like middle school computer class build-your-own-website ugly. It seriously looks like something from 1995. I don’t know how Viccel manages to keep their prices so low because their socks are really nice. 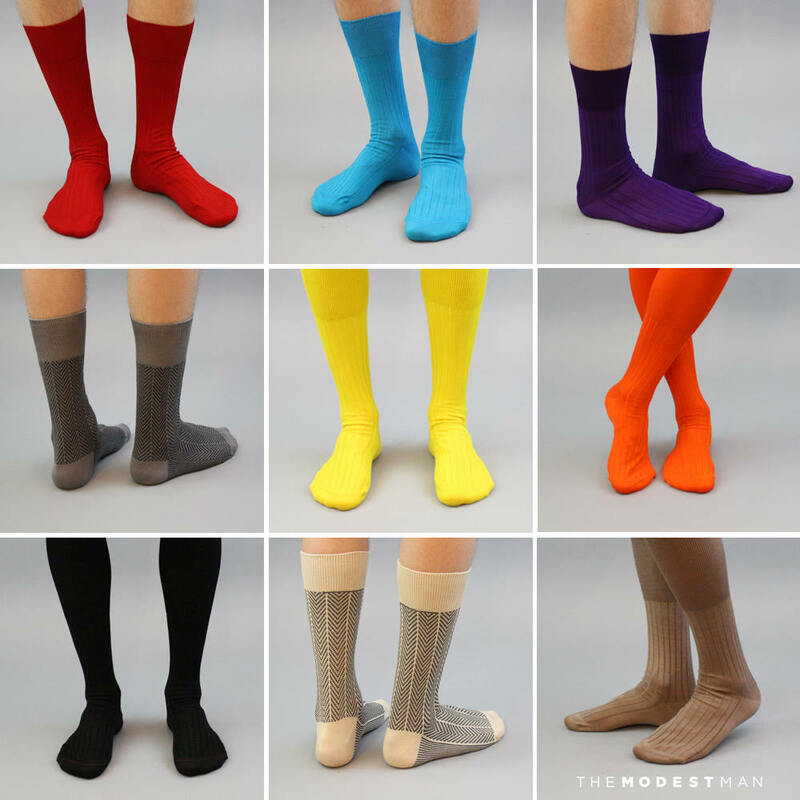 Even without a discount, their socks range from just $10 to about $25 per pair, depending on the type. This is considerably cheaper than what you’ll find in department stores (if you want 100% cotton or wool socks). Whatever combination of weight and color you need, Viccel will make it for you. I don’t know of any other company that does this. Want over-the-calf (OTC) heavy weight wool socks for winter? You got it. How about mid-calf lightweight summer socks? You bet. They have all of the basic colors, from bright canary yellow to deep forest green. Their patterns are pretty limited, but they seem to be adding new designs regularly. This is another thing that sets Viccel apart from other sock sellers. They make socks in different sizes. I have small feet (insert joke here), and it’s not always easy to find small socks since most socks are “one size fits all”. Viccel carries socks all the way down to size 6 (US). This is crucial for men with smaller feet, especially when it comes to OTC socks.